Stoli® Group has launched its tequila brand ACDC Thunderstruck Tequila in travel retail through an exclusive tie-up with German retail giant Gebr. Heinemann. From 1 November, it has been available in all Heinemann Travel Free border shops across Europe (Czech Republic, Croatia, Slovenia) and has also achieved its first airport listings at airports including Frankfurt, Munich, Hamburg, Copenhagen, Berlin, Baku and Bucharest. The tequila is produced under licence from the world famous Australian rock band ACDC and includes the band’s branding on the ACDC Thunderstruck Tequila bottles. This makes it an ideal gifting purchase for a hard rock fan in duty free and aims at what Stoli Group believes is a huge untapped potential for celebrity/band spirits. ACDC Thunderstruck Tequila, which is produced in the Mexican city of Tequila, comes in two 40%ABV, 70cl variants – Blanco and Reposado. It retails in airports at 29.90 Euro and 31.90 Euro respectively. Blanco has intense sweet notes of cooked agave, followed by a spicy white peppery punch. It is silky and delicate, leaving on the palate a sachet of spices. Reposado gives a full body, intense full agave flavour. Aged in oak barrels for a minimum of two months gives this tequila its natural colour and rich flavour. 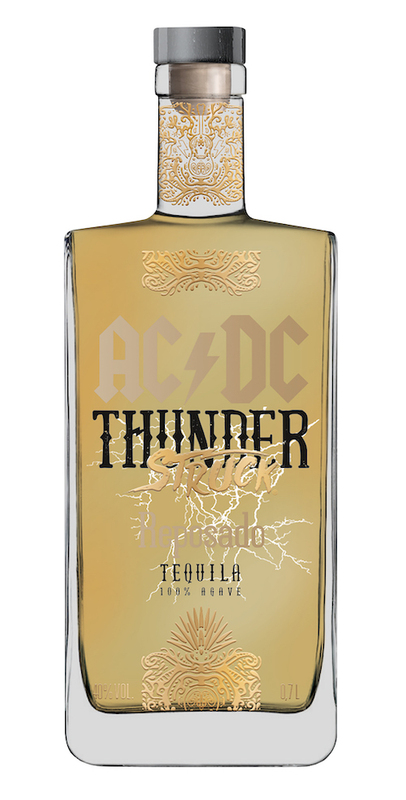 The ACDC Thunderstruck Tequila has been developed by Fabricada de Tequila Finos, which is owned by Latvia-based SPI Group company, Amber Beverage Group. Stoli Group is coordinating the roll-out of the brand into travel retail. The idea for the product came from Fabricada de Tequila Finos’ founder, a huge ACDC fan who contacted the band, sending them the best samples of his tequila. The band loved the tequila and signed a license agreement to lend its famous name to the new brand. The deal included cases of the tequila being sent to the band for personal use. The name Thunderstruck was chosen as it is the favourite track of ACDC lead singer Brian Johnson. The song was the lead single from ACDC’s 1990 album The Razor’s Edge.